Two men and a woman will appear in court charged with affray and criminal damage after an incident in Normanton. Catherine Price, 32, of Acre Road, Middleton, Michael Patrick Price, 24, from Thorne in Doncaster and Kevin Price, 24, of Westerton Road, Tingley, will appear at Wakefield Magistrates’ Court on Monday. 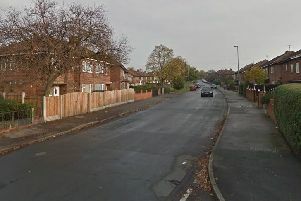 They have been charged with affray and criminal damage in relation to an incident on Queensway, Normanton, on Thursday. William Chapman,33, from Queen Elizabeth Drive, Normanton, appeared before Leeds Magistrates’ Court on Saturday. He was charged with assault, dangerous driving and possession of an offensive weapon for an incident near to Clifford Avenue in Portobello on Thursday. He was remanded into custody to appear for a further court hearing on October 7. Police are appealing for more information about the incident in Normanton. Anyone with information should call Wakefield CID on 101 or Crimestoppers, anonymously, on 0800 555 111.